I need to ask you a question before we take a look at the best data recovery software for Android on Windows PC and Mac. Have you accidentally formatted a memory card, deleted photos or other files from the internal memory of your device, made a hard reset and almost instantly regretted it? This is not the full list of actions which can lead to the loss of files. 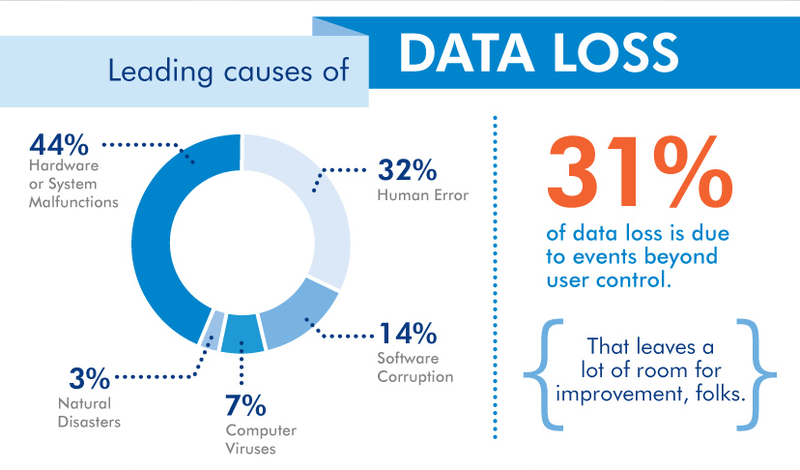 At the same time, data loss on Android can have good and bad scenarios. A good scenario is when the files are stored on the memory card of a mobile device. In this case, the data can be easily restored and even for free. Unfortunately, memory cards in smartphones are much less popular today and when it comes to data recovery from the internal memory, that is another story. In the early days, you could connect the Android device as a common USB drive, which made it possible not to use any special tools. And ordinary data recovery programs were able to restore all the data. By the way, it’s better to use them if the data was deleted from the memory card on the phone. Now, most Android devices connect as a media player via the MTP protocol and you need some advanced skills to connect a device like a USB Mass Storage. In this regard, many methods of data recovery for Android that have worked before are now ineffective. It also much harder and even almost impossible to successfully recover the data after a phone or tablet reset to the factory settings. How so? The data is erased and, in some cases, encryption is enabled by default. I’ve tried a lot of data recovery tools in the past months and I’m sure Gihosoft is one of the best. With this reliable software, you can easily recover lost or deleted text messages, photos, videos, audios, contacts, call logs, and documents from any Android phone, tablet, or SD card. If we talk about effectiveness, this wonderful tool can detect and recover deleted or lost files from Android devices with a user-friendly interface that’s painless to use. Combined with its power capacity and its ability to adjust to multiple Android OS versions (yes, it’s compatible with numerous devices), it’s a must-have item to be included in your arsenal for hunting lost files or data. 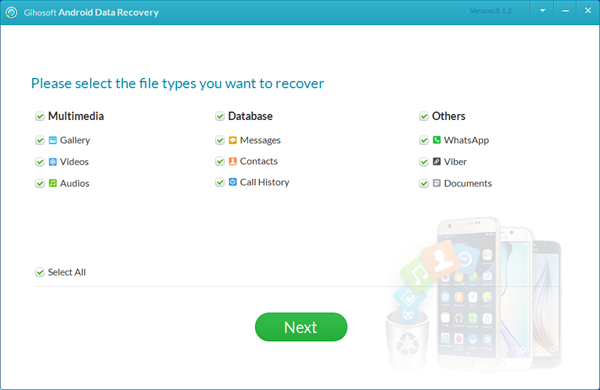 This free Android data recovery software can recover data of phones and tablets from HTC, LG, Google, Sony, Motorola, Samsung, ZTE, Huawei, Asus, Acer, and more. Restores the images, contacts, messages, including information recorded on a SIM-card or in the internal memory. Restores all deleted SMS, MMS or WhatsApp messages, including multimedia attachments. Restores all deleted images ever saved on the phone. Restores all deleted audio and video files that were on the device. It is possible to restore and save all phone calls in an HTML file, with names and phone numbers and the duration of the call. Offers the recovery of the following types of documents: HTML, ZIP, RAR, Word, Excel, PPT, PDF. If you use the WhatsApp application, you can recover all personal and group messages. To summarize, we can reassure everyone: you can restore deleted files. But do not forget that the highest probability of getting your files back is to restore immediately after deletion. Deleted files free up physical storage space, but file data is stored inside the memory. As you download new files from the Internet, they are written to the disk, and the information about the deleted files is completely destroyed. Once that happens, no special programs will be able to help. We hope the article helped you not to get in an unpleasant situation. However, if this suddenly happens, get everything back safe and sound. Last edited by Iris Cheng; 12-24-2018 at 09:03 PM. As the Best Data Recovery Software for Android, Coolmuster Lab.Fone for Android can help us recover deleted or lost conacts, text messages, call logs, etc from all kinds of Android phones, such as HTC, Samsung, Huawei, LG and so on. Before that, you need to make sure they are not overwritten by new data. MobiKin Doctor for Android could be the best Android Recovery program on your PC or Mac computer. It can help you conduct a deeply scanning on your connected Android phones or tablets and then you can preview the lost files in the program and find your target files and then save them on your computer very well. I recommend you the best Android Data Recovery - Aiseesoft FoneLab for Android. It can scan your Android phone and SD card deeply to find the deleted and lost data for you. You can get back messages, photos, videos, contacts, call logs, whatsapp messages, music, books for you easily. You can preview them before recovering. Learn how to recover deleted text messages on Android.